I am a mummy to 1 daughter, I have spent over 28 years in baby & Childcare, I am a qualified NNEB Nursery Nurse, have worked as a private Nanny, Maternity Nurse, Housekeeper, Proxy Parent & Registered Childminder. I believe that with emotional & informational support a mother can gain confidence in her bodies ability to labour & birth her baby, however she chooses, & with that confidence she is able to make informed choices, therefore allowing her to feel in control of the process whilst maintaining a positive outcome. 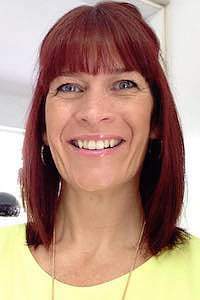 I am an NNEB qualified Nursery Nurse, I am also experienced in working with Homoeopathy, I carry the Helios Labour Kit, I have attended Breastfeeding workshops, a Twin course & I have a Paediatric First Aid certificate. I have attended workshops in supporting women who use Natal Hypnotherapy & also the use of the Rebozo. 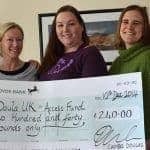 My Birth & Postnatal experience includes working with Twins & Triplets, Premature babies, babies in NICU & SCBU, supporting mothers post c-section, Home Births, Water Births & Hypno Birthing, natural induction, Gestational & Type 2 Diabetes.